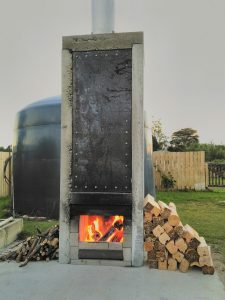 The dream that started as a retrofit for woodstoves became the worlds cleanest combustion technology. Now is now a journey that will lead to solid fuel turbines providing electricity to homes on a municipal scale. Prototype Open Fireplace. Designed for inside a home, but build outside for experimental purposes. On the way, and already developed, is a clean and efficient open fireplace. On the drawing board are boilers, patio heaters, high tech braziers, pizza ovens and more. But it is no fun doing it alone. I want to share this journey with others so I can take the I out of the statement above and add we. “We love our work, and our work is to bring dreams into the world”. You could also consider this an energy business, one that is sustainable. Perfect combustion occurs when the only byproducts are carbon dioxide and water. This usually discussed as something theoretical. The measurement of zero carbon monoxide by Brookhaven Natioanl Laboratory lays the foundation for the claim of the worlds first perfect combustion. (It could be that carbon monoxide would be found if you could measure to parts per billion instead of million). Certainly it is the cleanest ever combustion for solid fuel. The challenge for the future is to make this system cleaner for a larger part of the combustion cycle. 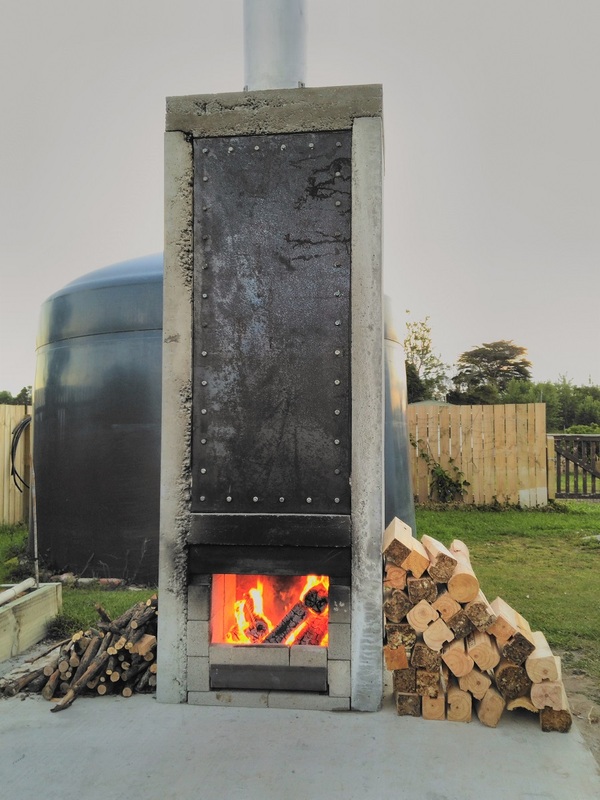 It also increases efficiency, everytime you put an IntensiFire into an old stove you save firewood and a considerable amount of labour to process that firewood . You make a home warmer and healthier. This result continues year after year, accumulating massive benefits over the lifetime of the stove. Do you want to sleep well at night knowing you have been a part of this? There will be more than 20 million dirty burning woodstoves in the world that could use an IntensiFire retrofit. And the market is growing, most new woodstoves sold today would still be improved with an IntensiFire so there is decades of work just retrofitting alone.